We've got exciting news here at SquashSite. We were very sad when our beloved manager Tommy Berden had to stop representing us a few weeks ago. It took us a bit of time to find somebody to replace him. And actually, he was THAT good that we had to get two people to do the job!!! And we found two "perles rares", rare Jewels: SquashSite will now be represented by Lizette Touber (for the commercial side) and Claudia Schürmann (for the admin). You may know Claudia - who was working for PSA for a few years before going back to her native Switzerland - but you may not know Lizette - who is PR to Nicol David among other activities. We KNOW we are in good hands, and to the people that would think that poor Steve is going to be outnumbered with so many ladies, I replied "he already was... :)". "As you might know, I am now working fulltime for the Professional Squash Association (PSA) as Chief Commercial Officer after the integration of the women’s tour into the PSA was successfully completed, and as a result my life has become even busier over the past months. "Coupled with a squash club that I own in the Netherlands, a wife that still plays on the professional circuit and two young kids, the time has come to hand over my SquashSite duties to suitable successors." After moving away from her native Switzerland in the late nineties, Claudia spent 12 years in New York working for various companies. During the last six years in New York, she was the executive director of the Swiss Benevolent Society, a non-profit organisation. Claudia was first introduced to squash through her affiliation with the Tournament of Champions, where she ran the bar from 2004 until 2010. Through her friendship with Vanessa Atkinson and James Willstrop, Claudia decided to move to the UK in 2010 with the plan to start a business together in Leeds. Instead, Claudia started working with the PSA and would soon become an integral part of the reinvigoration of the association when it moved offices to Leeds in 2012. Claudia worked as the PSA Tour Director until last year when she decided to return to her home town of Zurich. Claudia is currently working as the executive assistant for a high-end wine trading company, however, her love of squash remains unabated and we are delighted that she has agreed to join the SquashSite team, as her organising skills and knowledge of the squash world are basically second to none! As a consultant, Lizette constantly strive to uncover the gold nuggets in businesses. 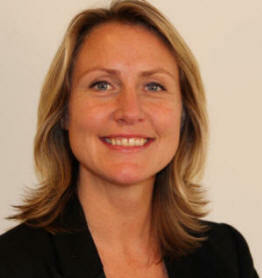 In the past she have helped international companies improve their performance in their digital transformation journey. She looks after the communications and social media for Malaysian squash legend Nicol David. Until end of January, she is also part of the Marketing & Communications team at the Chamber of Commerce in Amsterdam until she is taking over looking after SquashSite.com. Highly organised, personable and commercially minded, she is digitally savvy with a good eye for detail and great communication and management skills. She is a big believer in strong networks and maintaining relationships with clients and partners.